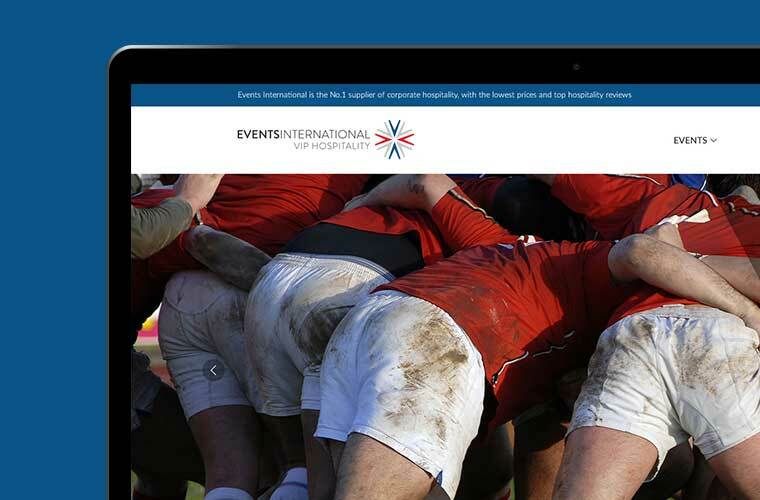 Events International are a key player in providing corporate and VIP hospitality packages for major sporting events. With over 25 years’ experience, they know a thing or two about hosting events and providing the best possible service for an unforgettable experience. When we started working with Events, they had an out of date logo and website that didn’t reflect the VIP nature of their business. They needed a brand overhaul and multiple websites to promote their key events. 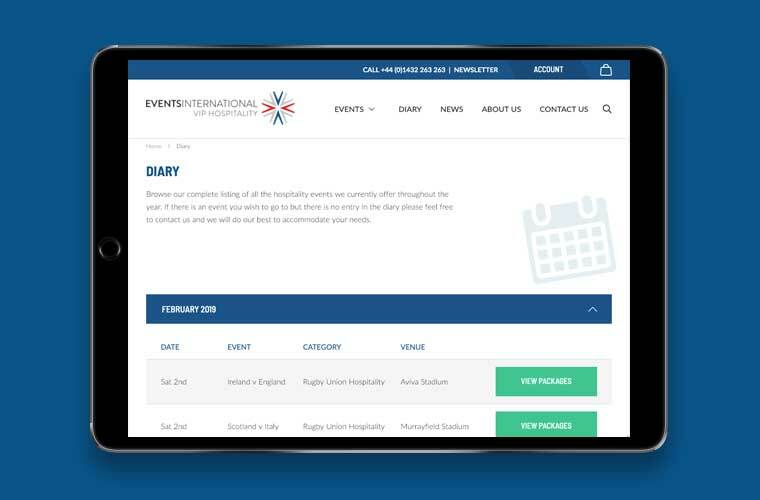 We’ve been working with Events International for over four years, and have now developed a brand identity, brand guidelines, stationery and six Magento websites for them. The brand identity showcases the luxury, VIP nature of the business with proud British roots. Following on from this, we created in depth brand guidelines to make sure those using the brand are using it correctly – to make sure that the brand message is consistent and coherent across all communications. 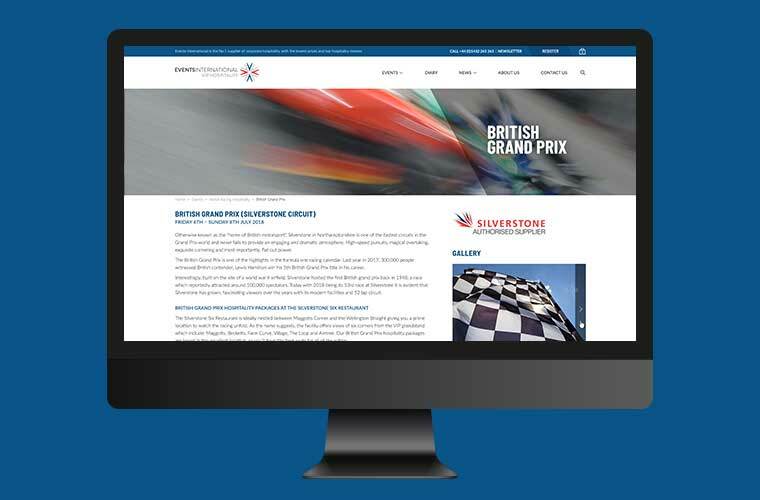 We’ve created six Magento websites for Events – a main corporate website which showcases the events that the company offer, as well as four event specific sites, including an official website for the Glasgow Commonwealth Games 2014. We've just launched a brand new version of the main corporate website for 2019, on the latest version of the Magento 2 platform. 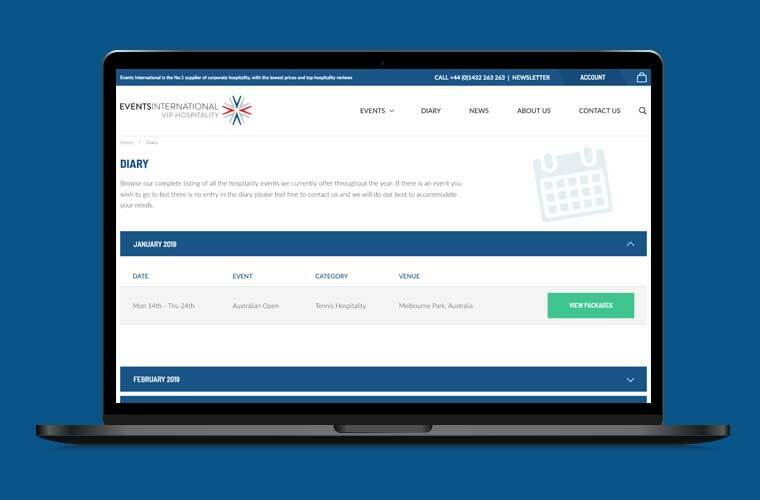 The new website includes a whole host of new features, allowing customers to purchase online as well as the option to pay a 10% deposit to secure their booking. The new logo is based on the celebratory stance of having your arms raised to the sky in a V, which is known by Social Scientists as ‘Pride’. The Events International logo has strong connotations of power & strength. This is twinned with the delicate nature of the shape, which conveys the coming together of sport and its competitive nature. The typography was carefully selected and crafted to be clean and modern, to give a fresh look. I believe from the overall look and feel of the finished site that you understand our business very well. From concept to finished product our requirements were met and any additional needs were quickly seen to. The objectives laid out were all achieved better than all our expectations. Clear are a friendly and clearly capable partner for a more prominent digital presence in a very competitive marketplace. Want to work with an agency who get things done when they say they’re going to? Call us on 01743 344 911 or drop us an email to talk about any projects you've got coming up. Tick this box if you would like to be kept up to date with our latest news via email. We won’t give your details to anyone else.